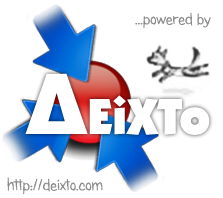 “ΚΤΕΛ Κοζάνης” is the first official mobile application that consumes data provided by a DEiXTo scrapper. The app is of local interest (coach routes for a Greek county) but the idea can be applied in a greater scale. You should expect more applications of that kind in the near future. This entry was posted in News and tagged data service, DEiXTo, DEiXTo CLE, windows phone. Bookmark the permalink.